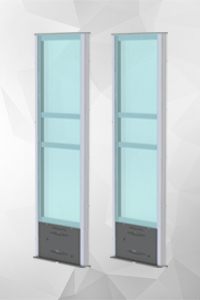 Aluminium Bags Detection | Prosistel Systems - Prosistel Sistemas S.L. Anti-theft systems and thieves methods evolve at the same time. Aluminium bags detection is an essential supplement for anti-theft systems warning us about the entry of a possible thief in the store. Anti-theft systems evolve at the same time as the thieves' techniques for robbing trades. The Prosistel aluminum bag detector is a fundamental complement in anti-burrow systems, as it allows to warn about the entry of a potential thief into the premises. One of the most used anti-theft systems in clothing stores and value products are anti-theft tags. These elements are virtually impossible to remove by thieves if they do not have the appropriate safety equipment. In fact, the labels are given with alarms or inks that betray the attempt to detach them from the garments. The alternative used by many thieves is the use of suitcases, jackets and bags coated with aluminum that are detected with systems "metal control" or metal detectors. Radiofrequency or acoustochemical security devices are capable of detecting when a tag passes through the security arc. To achieve this, antennas are used for the emission and reception of very low frequency radio waves. However, the system can be circumvented with aluminum bags. 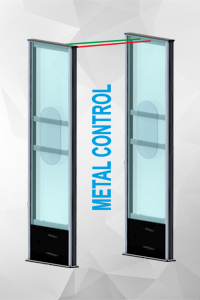 A Prosistel brand metal detector is the solution we propose to businesses to prevent theft losses occurring in establishments. The system that detects metals for aluminum bags allows to detect when a person enters the premises with the amount of aluminum that is estimated to make an aluminum bag. This anti-noise system alerts light, sound or discreetly about the possible presence of an aluminum bag, so that the actions can be determined. HOW DOES THE ALUMINUM BAG DETECTOR WORK? An aluminum bag detector is an anti-theft system that complements other anti-theft systems. The principle is to alert the potential presence of a person with an aluminum bag, backpack lined with aluminum or garment with aluminum lining. The warning can be specified in an audible, luminous or otherwise notice that serves to inform the dependents of the premises about the possible presence of an aluminum bag. The danger of aluminum bags is that they make it difficult to detect anti-burdens by low frequency, causing robbery. The metal detector is compatible with other anti-burr systems. 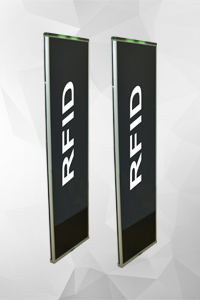 It can be installed in integrated anti-theft tag detection devices or as a standalone system. 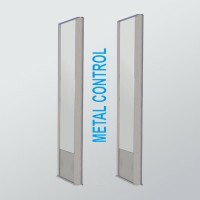 They are designed to go unnoticed and have maximum effectiveness in controlling the doors of a room. The system is able to discriminate against the typical shopping carts that are made available to customers in shopping centers, thus avoiding false alarms and optimizing theft prevention. 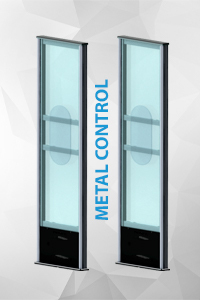 Installing an anti-theft system by aluminum bag Metal Control means avoiding losses due to theft of employees, customers, and non-business people. The frequencies of the aluminum bag detector is completely safe and harmless to human health. The working frequencies are set in spectra similar to those used with the metal detectors, and their effectiveness is proven in many tests. 20-years experience endorse us anti-theft manufacturers. Because security is not incompatible with aesthetic. Anti-theft tags can be used countless times, being an deterrent enough element. We look for excellency in Prosistel so we innovate offering tags that can be deactivated in cash line fast with the suitable equipments avoiding queues. Tags can be reactivated if the product is returned back. All type of tags to avoid thieves get the store products. 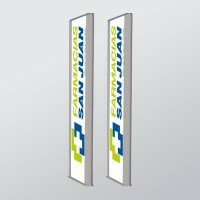 As important as having an antitheft system and tags to detect when someone is trying to get a tagged product from our store is to prevent from aluminiums bags entering in establishments. Aluminium bags are used by thieves to cross anti-theft systems. We have designed in Prosistel anti-theft systems able to detect when someone is carrying an aluminium bag as a possible thief integrated on antennas or independently to deter thieves. Our closed-circuit television are composed with central recording units with high capacity, apart from satellite units hidden or visible. All video cameras have the highest resolution and are designed to protect indoors and outdoors. Along with Video Vigilance recorders they all consist on systems which deter and identify possible thieves. There are also available automatic start cameras when it detects any presence, appropiate for restricted areas. Best system to control people affluence in the establishment and determine if the capacity is reached. In Prosistel we go beyond offering access control system through people counter able to generate statistics even in stores located in different cities. A method to optimize resources understanding peak hours and days with more visits registered. An anti-theft with a double and practising purpose. If you have ever found a counterfeit banknote balancing the cash at the end of the day, you would know the unpleasant sensation after feeling deceived and defrauded. From PROSISTEL SISTEMAS we help you to avoid this situation thanks to the latest technology in counterfeit detection. It is possible to choose a counterfeit detector between the devices we suggest you and checking you neither need an electrical connection to know if someone is trying to mislead you with one of them. 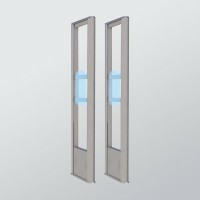 PROSISTEL SISTEMAS has designed a wide range of anti-theft systems to get your business safer. 9:00 - 14:00 | 16:00 - 19:00 h.